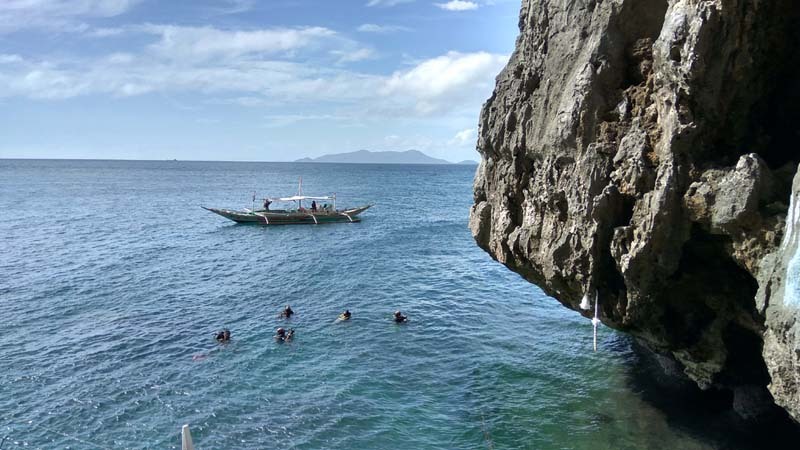 The main draw of Gigantes Island is really the boat tour to the nearby islands to enjoy their own unique offerings - inland lagoon, viewpoint, scallops, sandbar and of course, the beach. 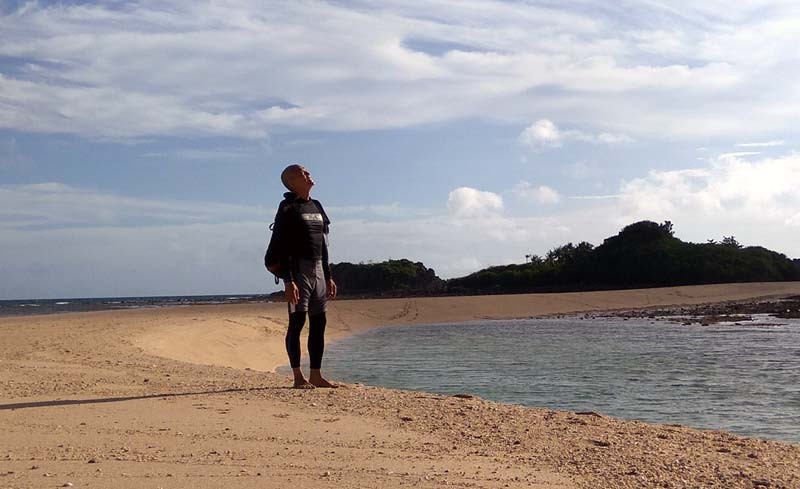 Finally, I can now see for myself what all the hype about Gigantes Island is all about. For a lone traveler like me, it was difficult to make the boat tour. The system they have here is to charter an entire boat. This would work well for a big group, but for 2 or 3 travelers, it's a lot of money to fork out. You have to find a bigger group to tag yourself along as a joiner and offer to divide the cost with them. Additionally, this is where I found abuses by greedy operators. I approached Rejohn Beach Resort to inquire about their rates. 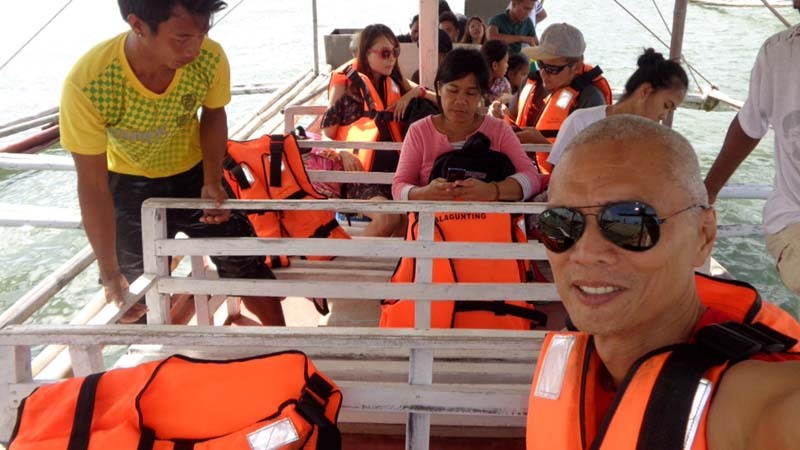 They said P1500 for the boat and P500 for the guide for a total of P2000 for up to 5 people. Then I talked to their guests, a group of 4 pax who have already scheduled the boat trip. They agreed to tag me along. My fair share of P400 was to be given to them, of course! When we talked to the resort to firm-up the plan, the resort had a different story this time. Instead of charging by the boat, which they earlier said, they would now charge by the group. What???? I would now be a different group, subject to a different rate. 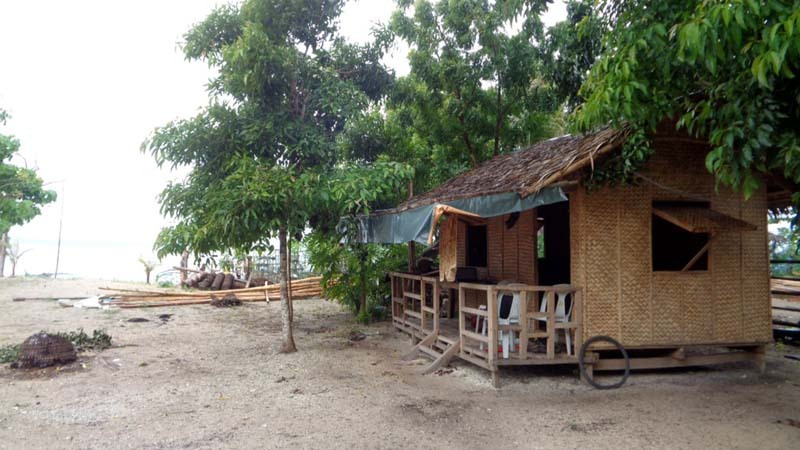 They wanted P500 from me, payable to the resort and not to the group of 4. I complained, since it was unfair to the group, not to mention I would now be paying more. But because of time constraints, we were forced to accept. So the group still paid the full P2000, I paid P500 and the resort gettting a total payment of P2500 instead of P2000. My protest was not appreciated. 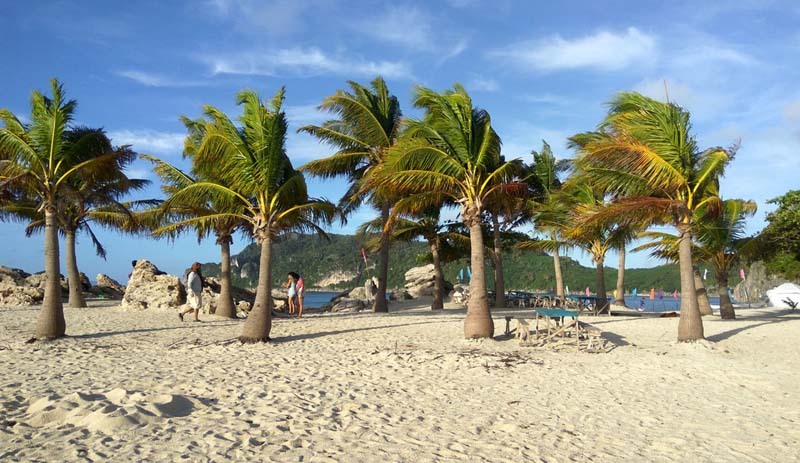 The following day, the owner was rude and disrespectful which adversely colored my island experience. I would never do business with this resort again. 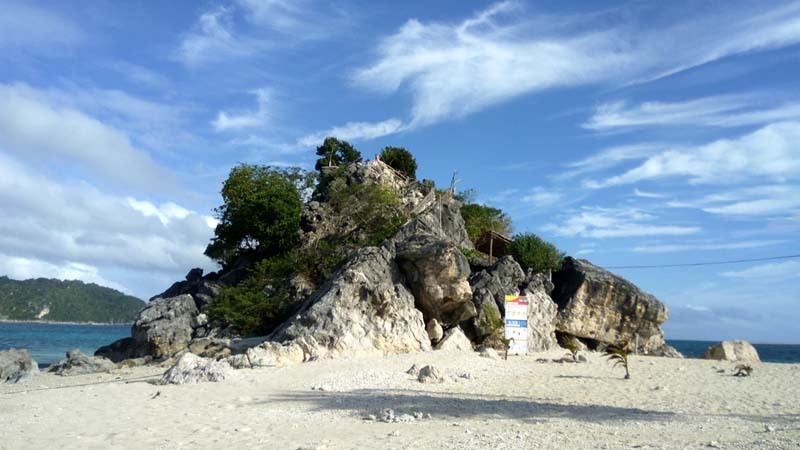 This was the first destination on the east side of Gigantes Island South - white sand, rock formation that can be climbed to for better view, convenience store, tents for rent. What makes this island unique is the viewpoint. 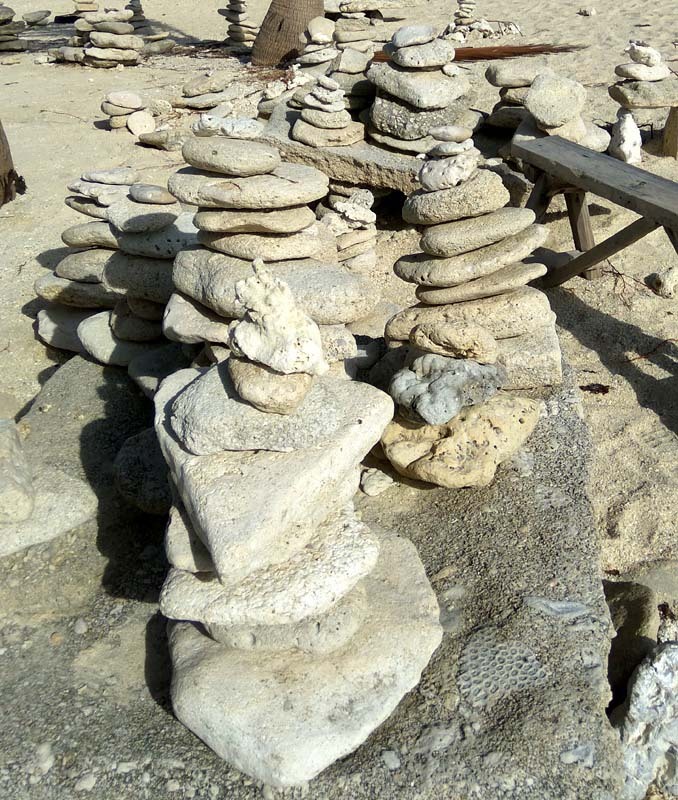 They put up steps leading to the top of a limestone outcropping. 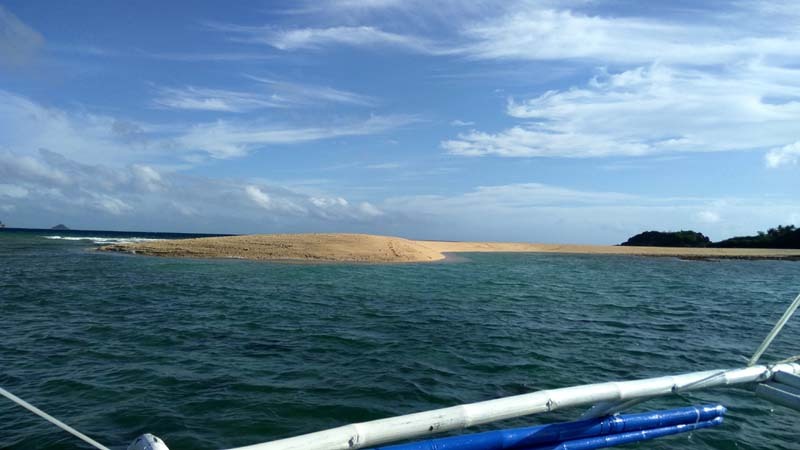 As the name suggests, it is an island with an extended sandbar. I was also a captive audience as my 4 Ilonga boatmates were taking selfies in their show-stopping wardrobe. 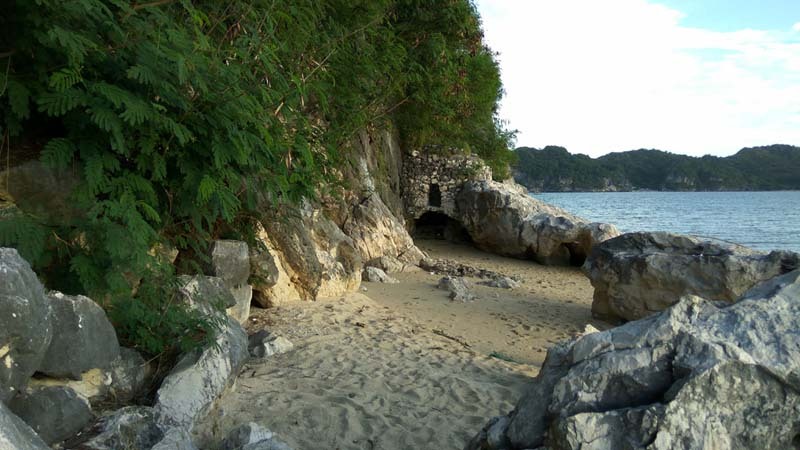 This is on another part of Gigantes Island South with an inland lagoon - no beach. 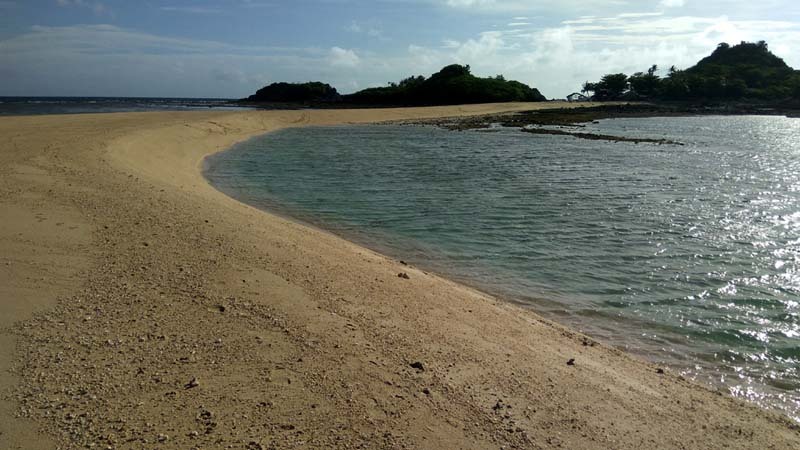 Best to visit on a high tide for easier access and for swimming. At low tide, you enter through an opening at water level - more difficult compared to going over the rocks on a high-tide entry. There is no water in the lagoon at low tide. 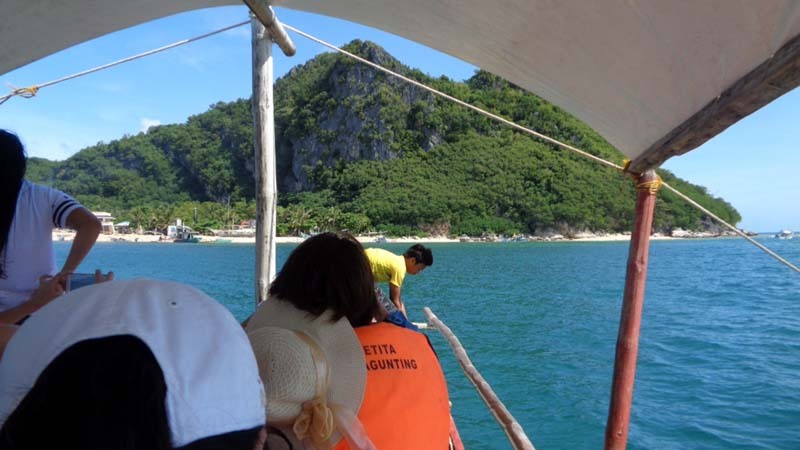 This island-hopping tour is very similar to what is offered in either El Nido or Coron in Palawan. I cannot help but make a value-for-money comparison. Here at Gigantes, I paid a total of P610 (boat + guide + island fees) for a 5-hour tour covering 4 destinations - no lunch, no water. 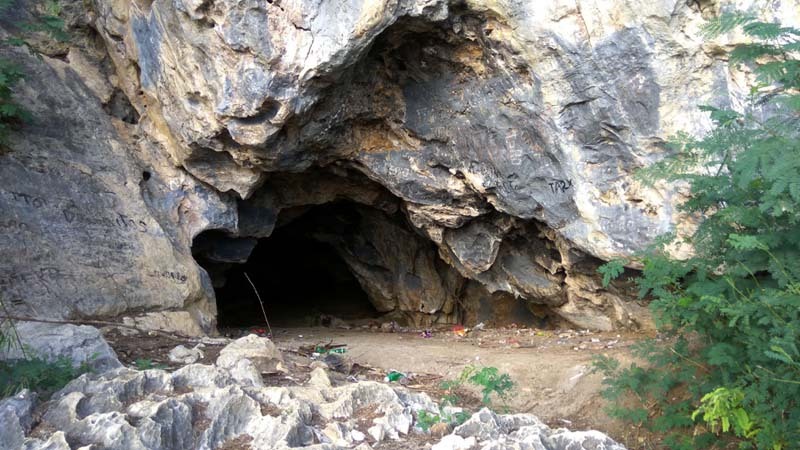 After the boat tour, you could also avail of the Bakwitan Cave-Lighthouse land tour, afterwhich, you go home as you've seen everything they offer. 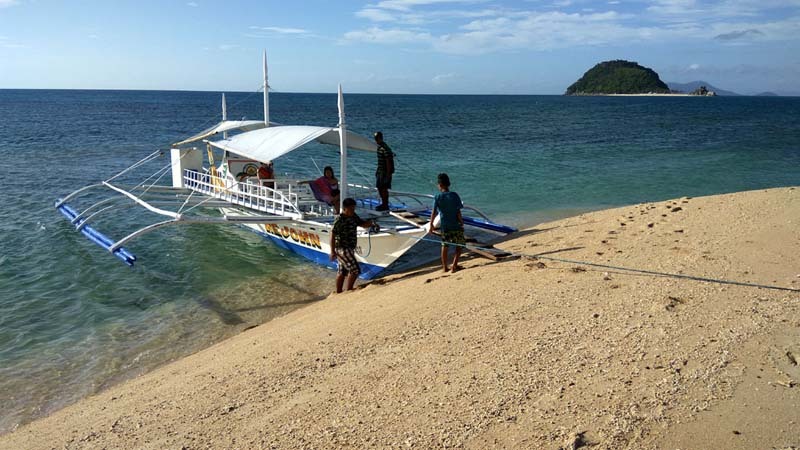 Getting to Gigantes Island from nearby Roxas City airport wasn't easy either - 6 rides which could even necessitate an overnight stay in Bancal Port if you miss the 10am boat. 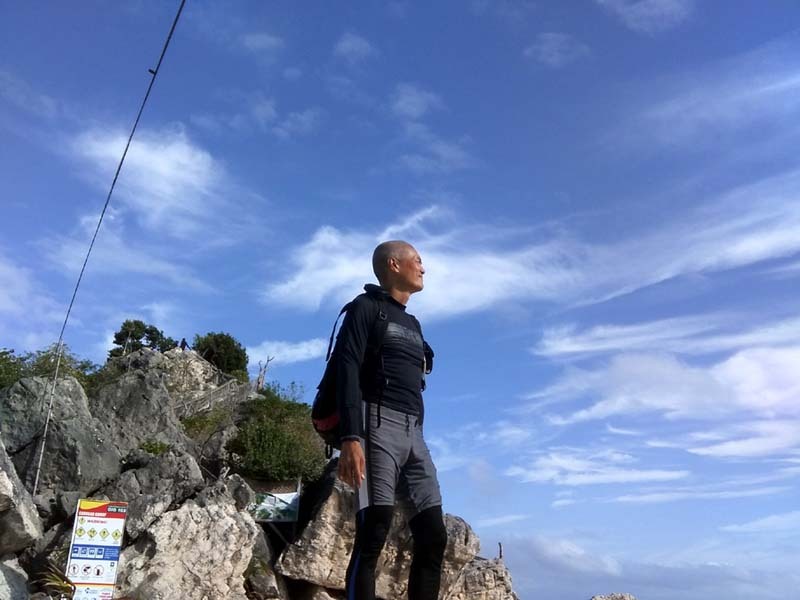 There are no restaurants, cafe, bars or even wifi in Gigantes Island. You just stay at the resort you're in. 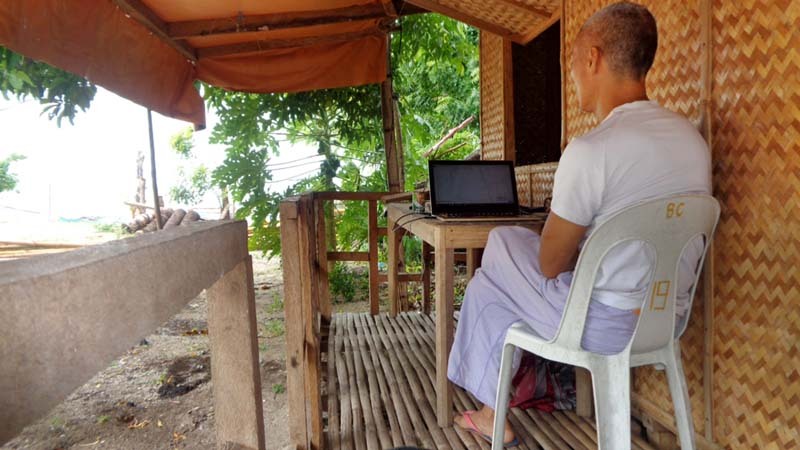 The practices in Gigantes Island now is reminscent of where Coron was in 2008 when I first visited when Coron was then struggling to find the best business template. 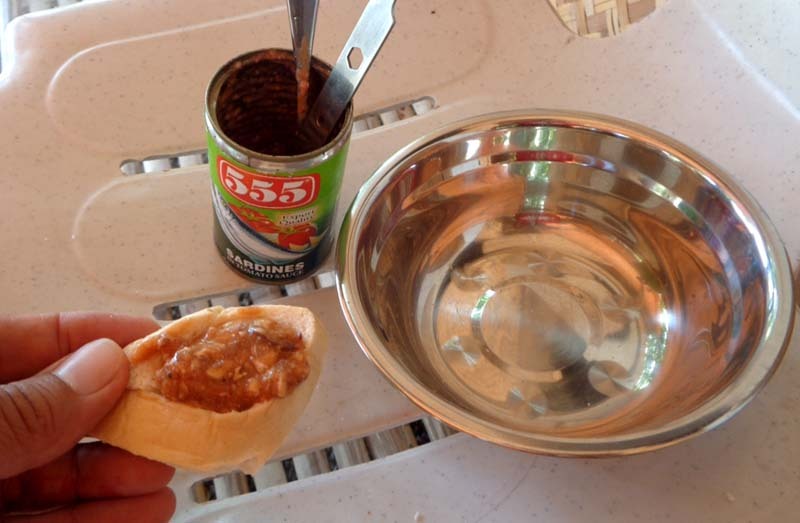 In Coron, I would have paid P650 which includes a hearty lunch + water. 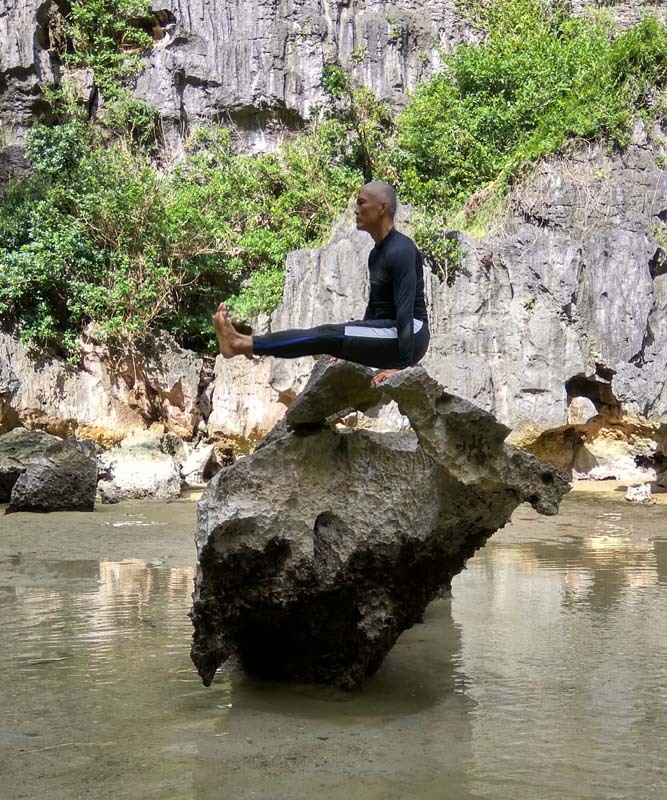 The Coron tour would take about 7 hours (8am-3pm) and cover more destinations - Kayangan Lake, Twin Peaks Reef, Twin Lagoons, Atwayan Beach, CYC Island and Coral Garden. 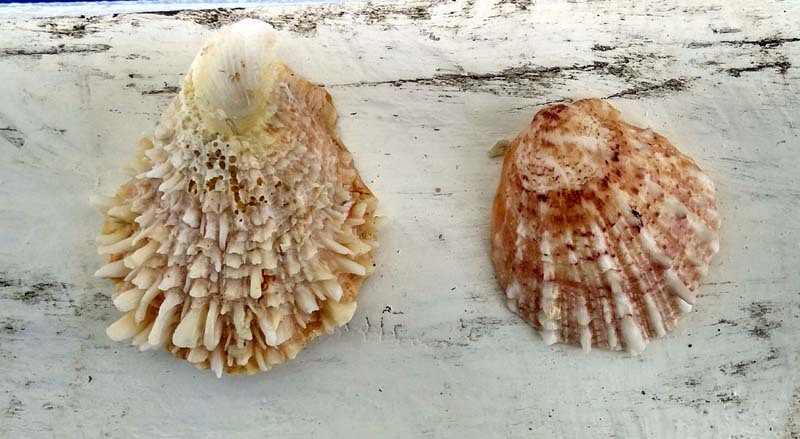 After that tour, you can stay a few more days and try other tours - snorkeling tour, safari tour, beach tour, etc. From Busuanga airport, you take one ride by van and you're in Coron Town. Your not stuck in your hotel or resort. Coron Town is vibrant for night life - restos, cafes, bars, etc. Coron's pricing and tourism practices are more streamlined and standard given the number of years it has been refining its industry. If you have to choose and it's your first time to either Gigantes Island or Coron, I would choose Coron by a wide margin. 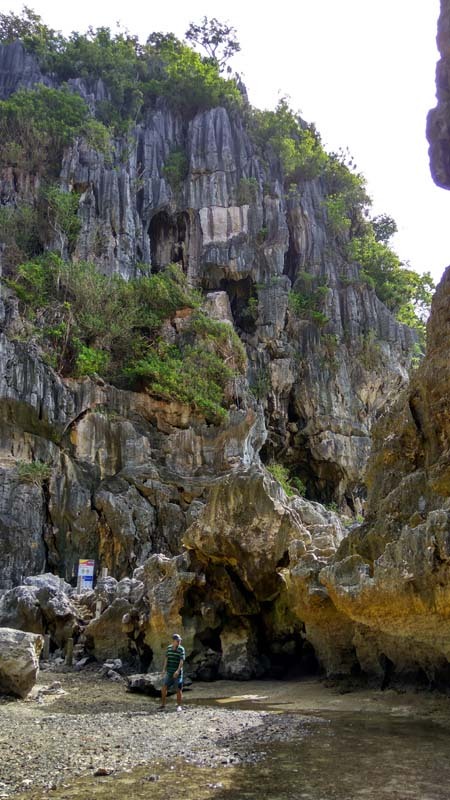 However, if you've done Coron and looking for something new but similar, then Gigantes would be a choice. Altogether, I stayed 3 nights including New Year's eve at Beach Front Resort. It's just a spartan shack - no food and no boat tours. But the hospitality of my host was endearing. It wasn't part of the deal, but they sent me food during the new year festivities and even invited me to join their extended family on the eve. They accommodated my request for laundry and were helpful in many ways. There isn't much to do around town - there were hardly any tourists around and there were no cafes, restos or bars. 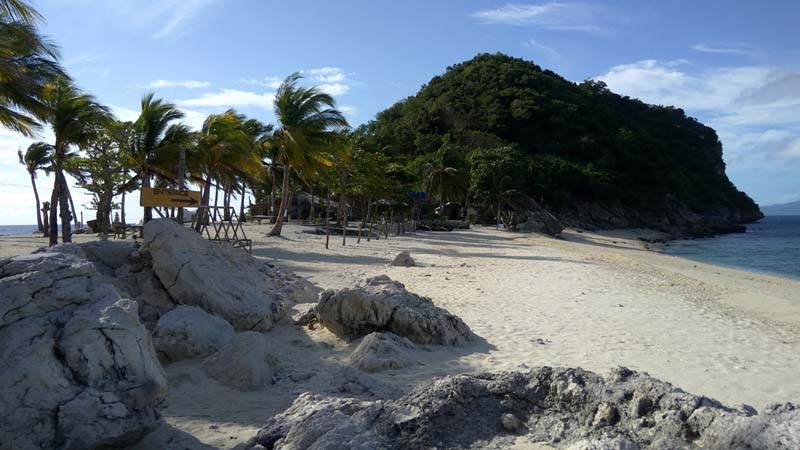 It's really just a simple fishing village caught blind-sided by the sudden popularity of Gigantes Island. 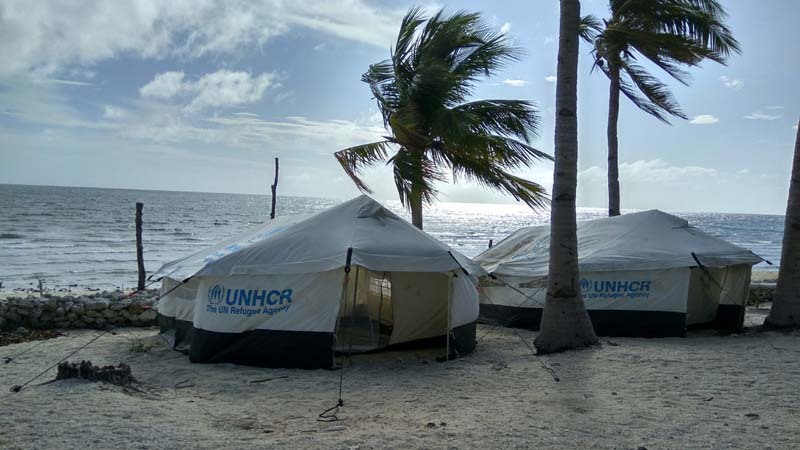 On the third day, I was already restless and raring to leave. mandatory guide - they charge P500 for a mandatory guide. Guide for what? We were dropped-off an island to enjoy the beach. Why do we need a guide? For the little hand-holding we needed in going to Tangke, there were 3 able-bodied boat crew for that little task! We didn't need to pay a fourth guy P500 for that! I can appreciate having a guide to explore the interior of a pitch-black cave or a guide to hike a mountain trail system, but a guide on a beach? It's ridiculous! food charges - since there are no restaurants in the island, you have to eat at the resorts. But the way they charge is again questionable. When I asked for the menu, they had none. 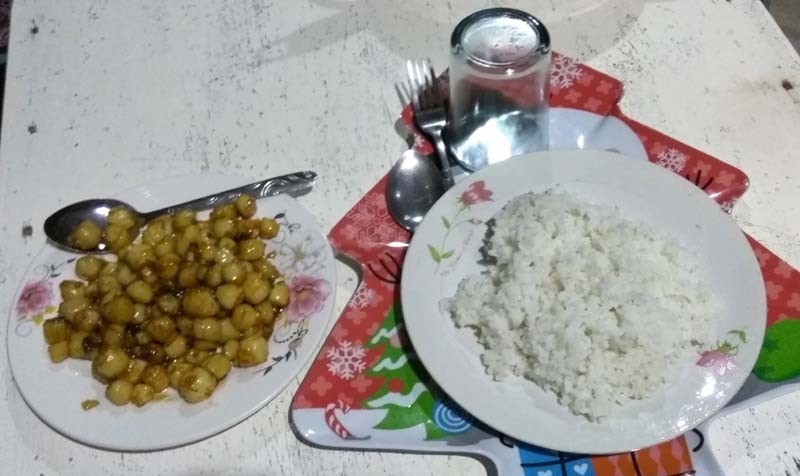 They said the standard price is P150 for the 'service' without the food yet! P150? I could already buy 3 dishes and a rice with that! 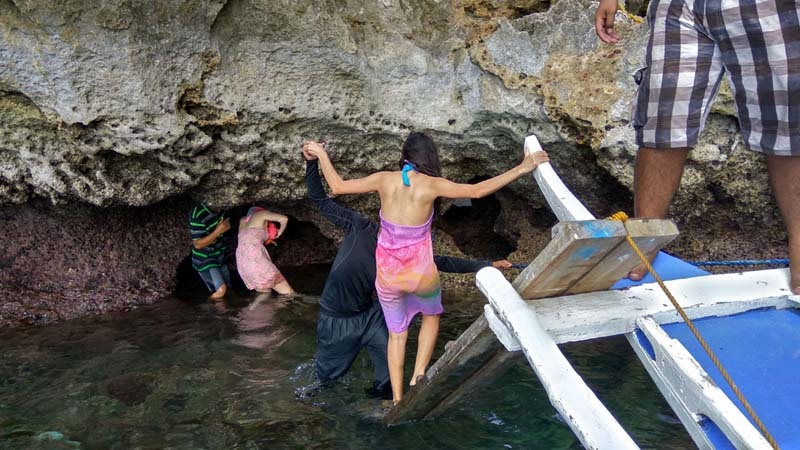 I am not sure if these operators realize that their greed is their biggest stumbling block in furthering tourism for Gigantes Island. 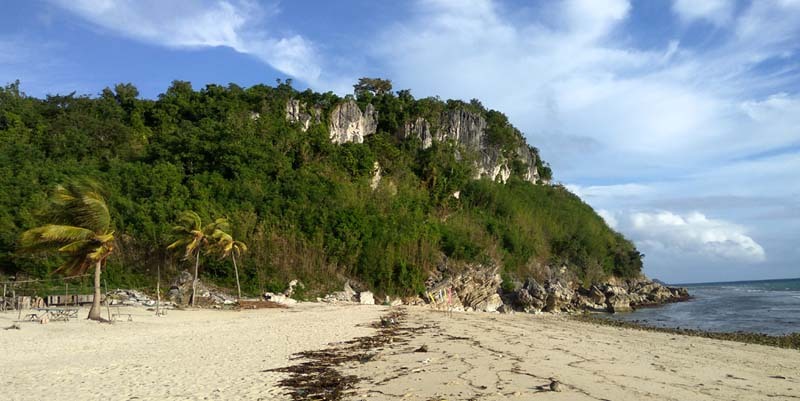 They aspire for Boracay money and start charging as though they are Boracay when the stark reality is, Gigantes Island is just an emergent destination...one of many across the Philippine archipelago. 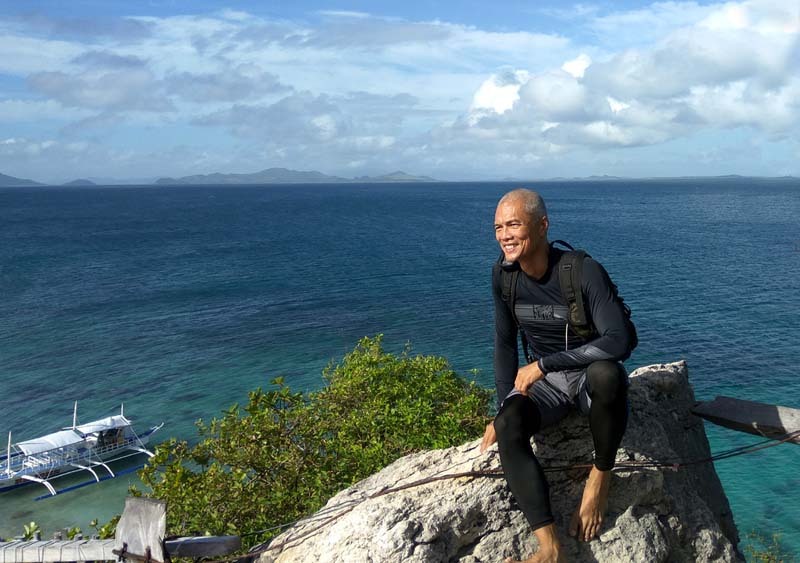 Gigantes Island has interesting islands, but it's not the best of its category. Coron offers much more for less. Sure, Gigantes will continue to be visited, but it probably won't get as popular as it could given the prevailing practices. I had been to Boracay many times and to Coron many times. 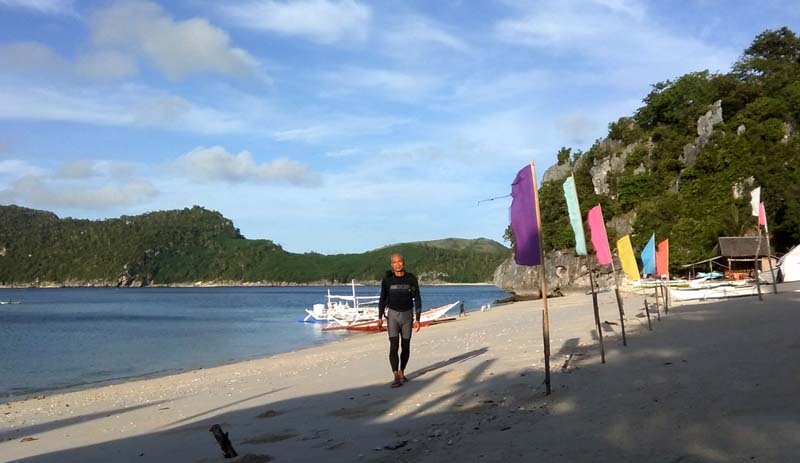 But would I visit Gigantes Island a second time? I'm afraid my answer is no. 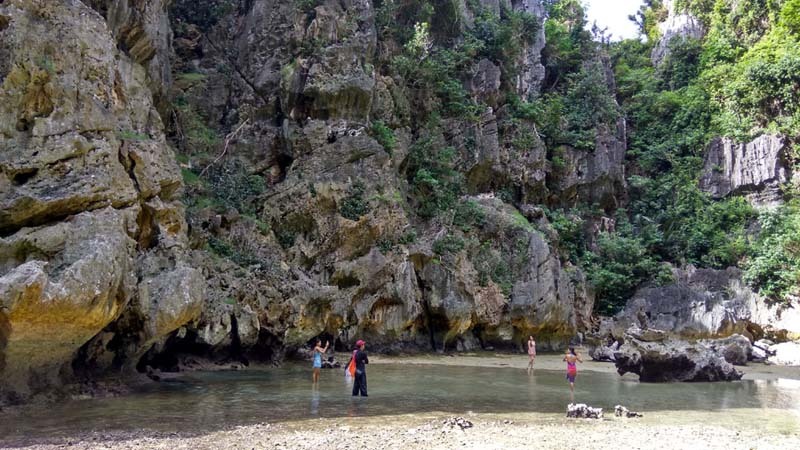 Until pricing practices are made fair, Gigantes will be a once-is-enough destination for me. friendly locals - the locals are generally friendly although somewhat still unused to seeing outsiders in their midst. But they warm up fast when I start talking to them. 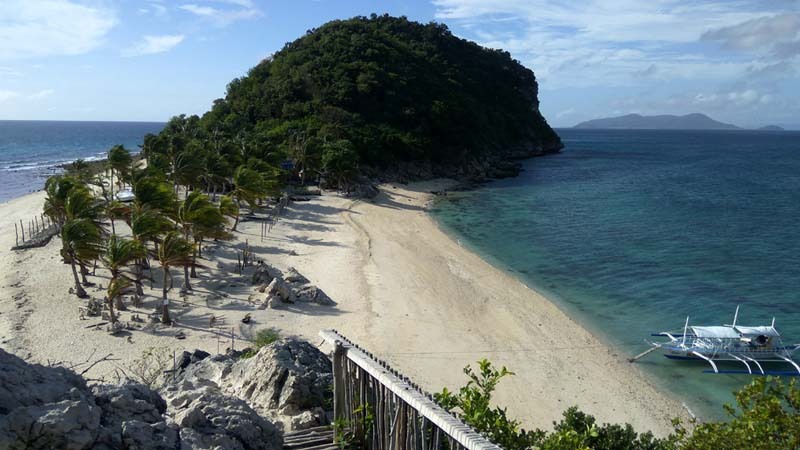 P200/pax lodginig - Hideaway Resort has a friendly policy with lone travellers. They offer a room + CR to a lone traveler at P200/night. This is the best lodging value I saw for a lone traveller. 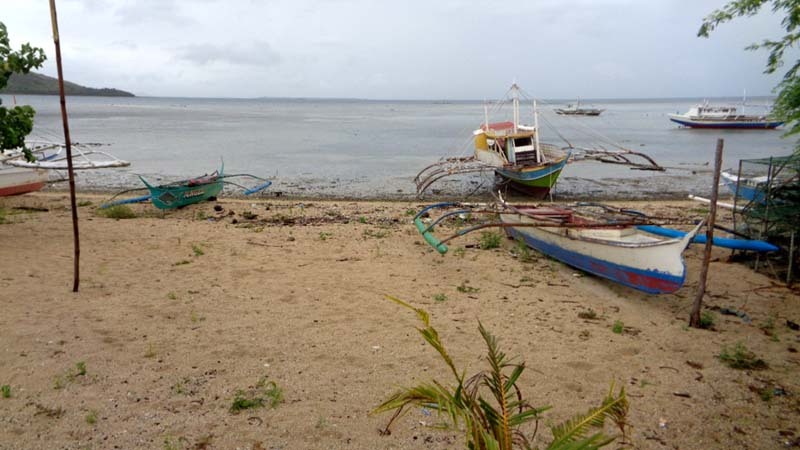 However, their boat pricing of P3000 for a group of 5 make them the most expensive for island tours. 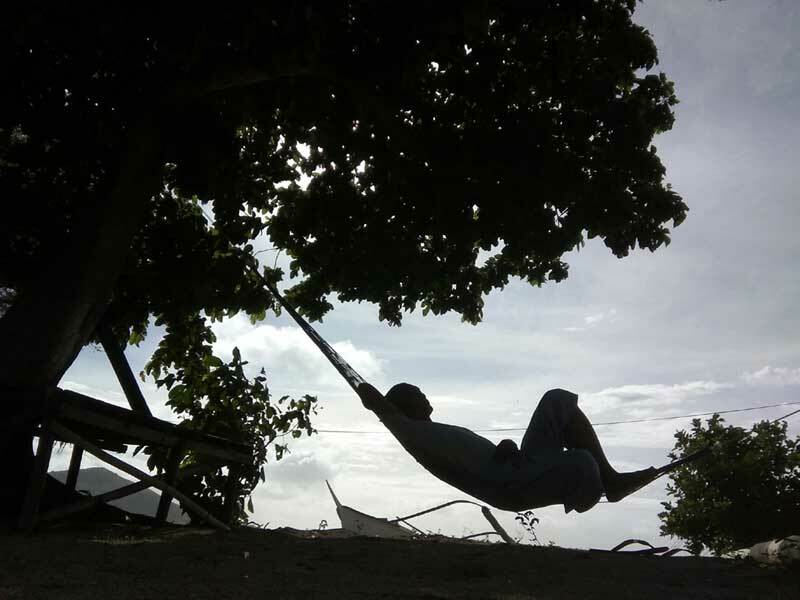 Altogether, my 4 days in Gigantes Island has been a mixed experience. But at least I have demystefied the hype about the place. If they handle tourism right with good business practices, I could see the place becoming more popular despite the difficulty in getting there.